In 2012 Laz Ewe 2 Bar Dairy expanded into cow cheese. 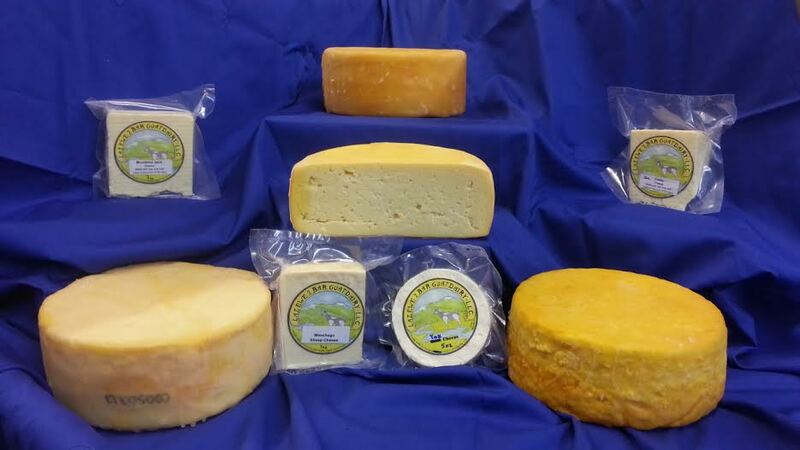 We produce several aged raw cow cheeses made from our sweet and creamy brown swiss, guernsey and jersey milk. All of our aged cheeses are aged for 60 days if not longer. For example our Parmesan has been aged for two years. Most of the cheese is sold in vucuum packed wedges anywhere between 4-7 oz.